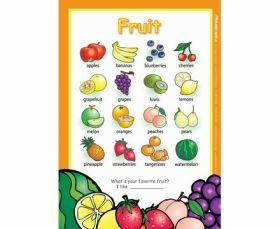 Delicious fruit within eyesight for all students, arranged in alphabetical order, easy-to-understand. What's your favorite fruit? The poster is the same as PT312. Only paper is lighter than PT312. Stock is limited.